“Finding effective solutions to the climate crisis is an absolute imperative, and electric cars have an important role to play in this,” Kumi Naidoo, Amnesty International’s Secretary General, said in a statement. “But without radical changes, the batteries which power green vehicles will continue to be tainted by human rights abuses,” he added. I used to be a member of the Amnesty. Then the organization switched from helping politically persecuted people to helping all poor people. At the same time they used all my contributions, and much more, for a golden parachute about a million dollars for a departing VP. Good bye, Amnesty. Furthermore, the production of the batteries is currently concentrated in Asian countries including China, South Korea and Japan, where “electricity generation remains dependent on coal and other polluting sources of power,” Amnesty noted. What was the point of EVs again? “Feeling as bad as their diesel counterparts…….”but i’m in love with my 6 year old oil burner which gives me over 50mpg. No feelings of guilt whatsoever. A bit pissed though with the tax on diesel. Hmm… Been saying for years EVs are simply prepolluting vehicles. 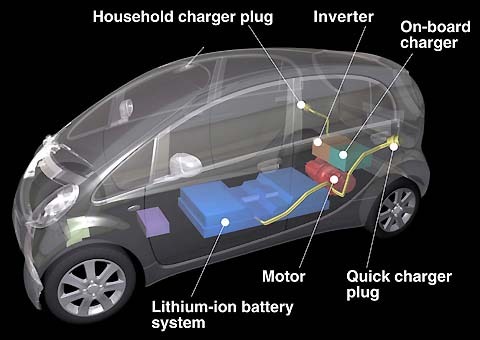 The cost of batteries is paying for pollution in mining and refinement of lithium and Cobalt. The batteries in an EV cost more than the fuel for my Chevy for the same distance travelled. And I am subsidizing Mr. Musk here in the US. Beam me up Scotty! A back of envelope calc at current prices shows I have spent less than £6500 for fuel over the 170000 on the clock of my 2.5 litre diesel Merc. I expect that would be about the cost of a suitable battery; but would then have had to put the energy into it, probably about a thousand times, if the battery actually lasted that long. … bloodstained on the inside. It’s the “Law of Unintended Consequences” all over again! Some idiot declared CO2 to be a dangerous poison, and said “We” (meaning everybody else) need to reduce it. So we were encouraged to buy diesel vehicles (because they emit less CO2 than petrol). Lo-and-behold, some years later, the entirely predictable discovery that they produce other (potentially more damaging) emissions. So now “We” need to scrap perfectly good cars and vans, and transition to EV’s. But the manufacture of the batteries needed causes huge environmental damage. Who could have guessed??? But I can’t understand why I’m only paying £20 road tax for my Picasso diesel with its urea additive if it’s so polluting ?